In addition to his capability as a Western-trained physician, Dr. Grotte has extensive experience in all aspects of the Chinese medical system, including acupuncture, moxabustion, dietary, and exercise therapy. He is among the few physicians in America who can incorporate the Oriental system of dietary treatment in therapy. He was the first physician in Ohio to be board certified in both acupuncture and Chinese herbology by the National Commission for the Certification of Acupuncturists, and became a member of the American Academy of Medical Acupuncture in 1992. 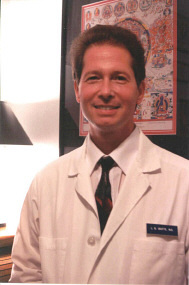 Dr. Grotte began studying traditional medical systems in 1972. This led to research into the botanical medications of Tibet, India, and China both in the U.S.A. and on field research in each of those countries. He has studied Tibetan medicine under the tutelage of a senior Tibetan yogi, as well with as two of the senior personal physicians to the present Dalai Lama. Dr. Grotte has also worked closely with one of the foremost authorities on Islamic medicine, Shakyh Hakim Moinuddin al-Chishti. In addition, Dr. Grotte became the first Western physician to be given permission to study the inner mysteries of the African Yoruba medical tradition, a system that is largely unknown in the West. Because of his expertise in Tibetan medicine, he was chosen by the Tibetan Medical and Astrological Institute to sponsor the 10 day Cleveland stop of a first-ever official visit in 1997. The tour featured Dr. Tenzin Choedrak, personal physician to the 14th Dalai Lama, his entourage and the first-ever exhibition of Tibetan medical art, herbal medicine and surgical implements. The public was able to view the exhibition and presentations by Dr. Choedrak and Dr. Grotte through the kind sponsorship of the Cleveland Museum of Natural History. Perhaps the most broadly trained generalist in America, he may be consulted for any level of medical problem. Amy Shurtz has worked with Dr. Grotte for fourteen years. 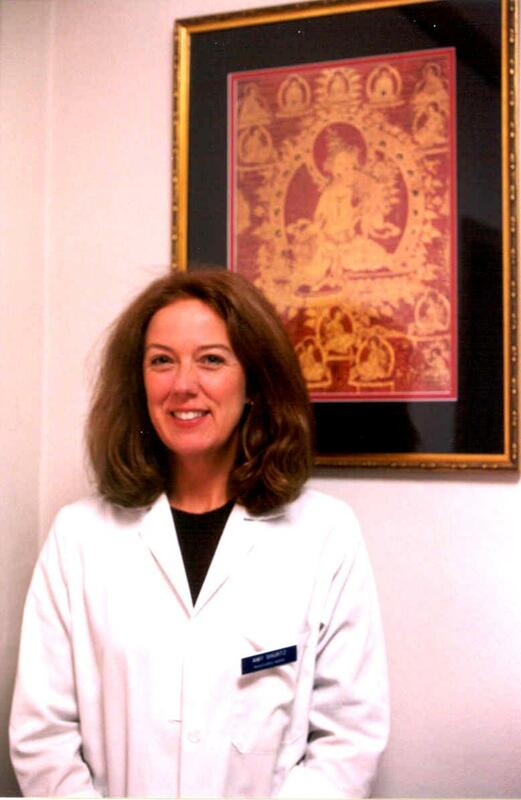 Trained in all aspects of hospital and surgical nursing during 22 years of experience in the leading hospitals of Cleveland, Boston, Kalamazoo, Iowa City, and Sun Valley, she is also expert in many aspects of Oriental and Tibetan medicine, as well as being the first nurse in the U.S. to study the Ifa medicine of the Yoruba. Ms. Shurtz is a 1974 graduate of Brigham and Womens Hospital, Boston and received her Bachelor of Science in Nursing Degree from Regents College. She has a special interest in traditional medicine to address painful disorders as well as imbalances which lead to disturbances of womens' lunar and life cycles. I have seen all levels of care in my years as a nurse. I am impressed with the preventative and effective treatment options that Oriental medicine provides to patients who come to us. I think the individualized approach that we take at the office is the best of both worlds. Our patients are grateful that we can take the time to know them, follow them, direct them through the options available---not only from a Western perspective, but also an Eastern perspective---and advise them in many areas of health. Increasingly, patients and their families are frustrated by the lack of communication from and between their physicians. They don't feel they have true continuity of care. We specialize in personalized care.